Kirsty Alderton is Director of ICT & Learning Technologies for both curriculum and non-curriculum IT, and before making the decision to outsource The London Oratory School's IT services, she had struggled with an unenthusiastic ICT team who lacked the specialist knowledge Kirsty needed to move to a new 21C environment. Sickness and absenteeism due to external factors were often an issue, and Kirsty became keen to break the mould and bring in fresh blood. In addition, the school was facing budgeting challenges; through co-sourcing, they have been able to drive down costs and reinvest funds back into ICT to buy desktop devices. "Moving to a co-sourced model has allowed me to forget about the day-to-day IT issues and focus on strategy, training and future direction. I can act as a conduit between our Senior Team and our service provider, RM, and simply escalate any issues as they arise to be dealt with off-site." 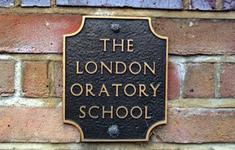 The on-site engineers at The London Oratory School have gone from being locked away in a server room managing back-end issues to being freed up to support the day-to-day IT needs of the school. They have now moved into an efficient helpdesk role based on the shop floor so that students and staff can approach them with issues directly. "I can see outsourcing becoming a major trend because it means schools no longer need to worry about their infrastructure and IT facilities, and can get back to focussing on school matters. And when you factor in the long-term benefits and add in all the extra services - such as specialists, escalation points, strategy, knowledge, background support, sickness cover and valuable access to best practice from other schools they support you're not only getting more value for money but you're helping to future-proof your school. And in a world where technology is changing so quickly, that's absolutely essential."